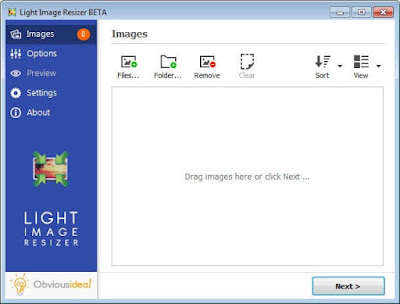 Light Image Resizer, with this free program, you can resize, compression, conversion, create copies, import and organization, change formats for images and photos Separately. or multiple images at once and save hard disk space. you can also create e-mail friendly images or use them for web publishing. Light Image Resizer: It is ideal for people looking for software to quickly and conveniently resize photos and convert them to any other format. 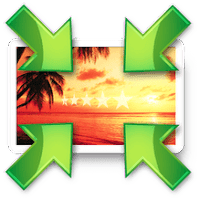 the application allows you to modify many files at the same time, so you can edit them in bulk and change their name and size. After adding any number of files to the program, you can change their resolution using ready-made profiles or manually adjust the appropriate width and height for each one. 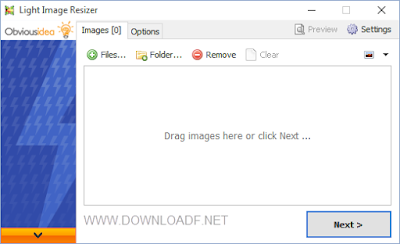 One of the new feature of this version off Light Image Resizer, photos and image, you can transfer them to a removable disk with more reasonable size as the original compressed into a ZIP file. Support file formats: Jpeg, gif, bmp, tiff etc ; Import directly from memory cards , memory sticks..
To start using Light Image Resizer you only have to add the photographs that you want to modify. Once you have selected them they will appear on the program's interface. The next step consists in choosing the changes that you want to apply.